Raling Monastery-Nhin Valley Trek is one of the most fulfilling treks in west Nepal which allows you to peek into the Nyinba culture and tradition preserved in one of the remotest parts of the country, Humla. The off-the-beaten trek to Nhin Valley offers intimacy with pristine nature along with the pure culture of the Nyinba community without having to trek strenuously for long days. This trek serves a culture enthusiast right with the visit to Raling Monastery, one of the holiest monasteries of Tibetan Buddhism. 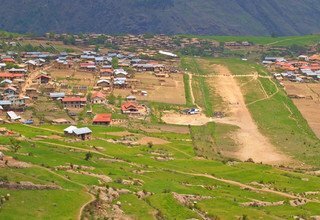 This 12 days Nhin Valley Trek starts with your arrival at Tribhuvan International Airport. After a short stay in the capital, the trip continues with a flight to Nepalgunj followed by another flight to Simikot, which is both the starting and the ending point of the trek. 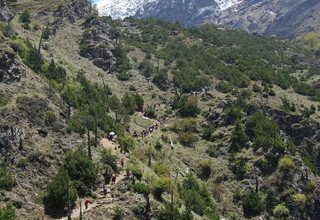 The overall trek features the stunning landscape of the less trodden paths of Humla and the distinct culture of Nhin valley. Nhin valley is a beautiful place inhabited by Nyinba (Nhinba), a Tibetan community, with their distinct culture, language, and tradition. 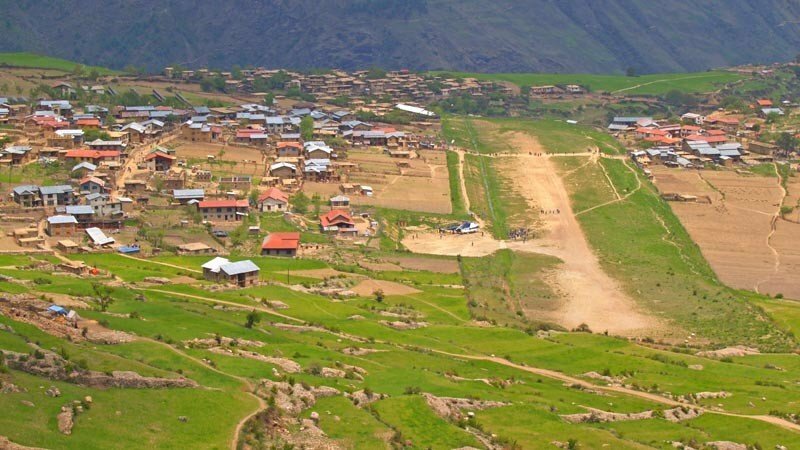 The trek takes you to the 4 villages inhabited by Nyinba community: Tangshyod (Buraunse), Barkhang (Baragaun), Todpa (Torpa), and Nimatang (Limatang). All of these villages are around half to two hours stroll away from the well-known pilgrimage site, Raling Gompa, which belongs to the Nyingmapa Sect of Buddhism and is considered the holiest monastery among the Nyinba community. 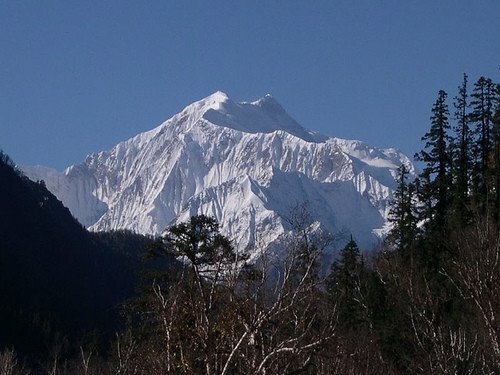 The trip also offers the majestic view of Crystal Peak and Changla Himal Range. All in all, this trip provides an opportunity to experience the pure form of ancient pre-Buddhist tradition, culture, and lifestyle. 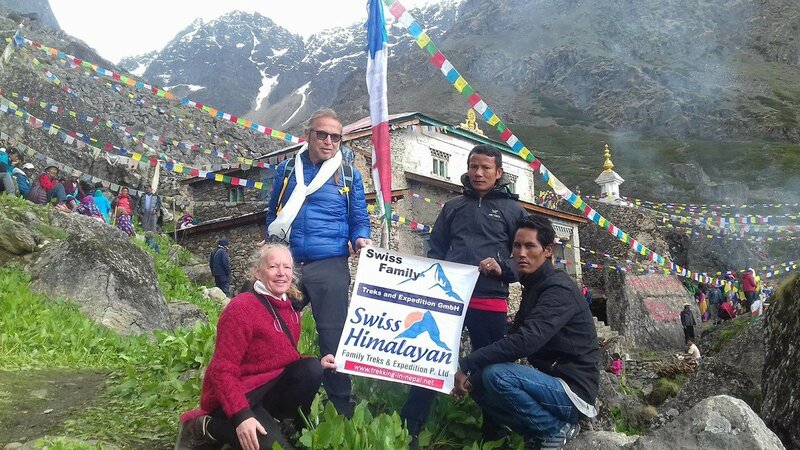 Swiss Family Treks and Expedition is one of the popular trip organizer companies in Nepal. We have been organizing some of the most memorable trips in the Himalayas for the last 15 years. With our five-star ratings, we have proved to be one of the beloved organizations in the tourism industry. We also offer different kinds of packages, transportation, and accommodations based on the client’s choice. Upon your arrival at Tribhuvan International Airport, Kathmandu, you will be picked up by our team representative and transferred to the hotel for the overnight stay. Today we drive around the Kathmandu valley to visit UNESCO world heritage sites including Swayambhunath (Monkey Temple), Pashupatinath Temple (sacred Hindu temple dedicated to Lord Shiva), and Boudhanath Stupa (biggest stupa in Nepal). Overnight at the hotel. We fly to Nepalgunj enjoying the scenic view of the lush hills and wide fields of paddy throughout the flight. Nepalgunj which is situated in Banke district lies in southwestern Nepal near the Indian border. The place is an important business center for many regions in western Nepal. In the afternoon, we can take a rickshaw to visit the local market. Overnight at the hotel. Today we catch our early morning flight to Simikot with a stunning view of the snowy mountains over steep ridges. 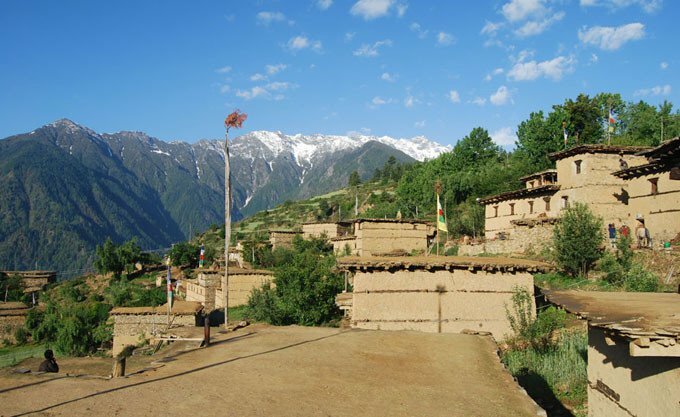 Simikot is the headquarters of Humla district and can be seen bustling with administrative offices. 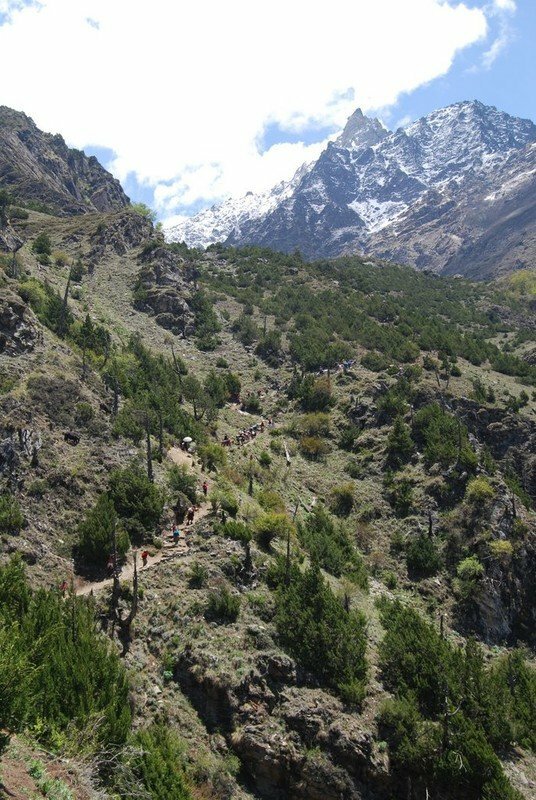 We begin to trek towards Buraunse passing through the small town of Simikot. We then make a gradual climb walking on a steep path followed by terraced fields that leads us to Buraunse Gompa. Making a steep ascend from the Gompa, we reach Buraunse, which is a small Tibetan Buddhist village. Overnight at tented camp. We descend to Ghatte Khola and cross the wooden bridge. The trail then goes up gradually through terraced hills. We also come across several small stupas and Mani walls along the way. We continue to walk through Kangni (gate stupa) to enter the village of Thorpa followed by a small site called Bhibuck Cave (meditation cave). 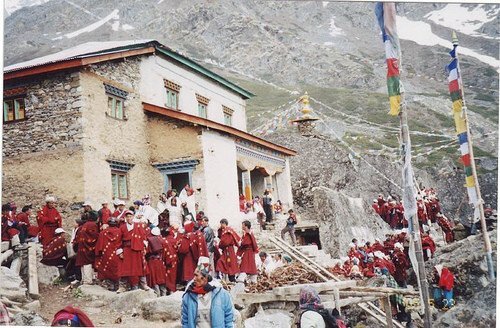 We also walk by the village of Hutick to finally reach Nimatang, which is the last village before Raling Gompa. Overnight at tented camp. Today we trek through the forested path filled with pine and juniper trees before descending to Ghatte Khola and crossing the iron bridge over the river. The trail then gradually climbs up through the forest with an amazing view of the whole Nhin valley along with the vista of Changla Himal Range. We make our way to Tokra where most of the Nyinba people camp during Saga Dawa Festival. We continue to ascend slowly for another 2 hours to reach the campsite of Raling Gompa. 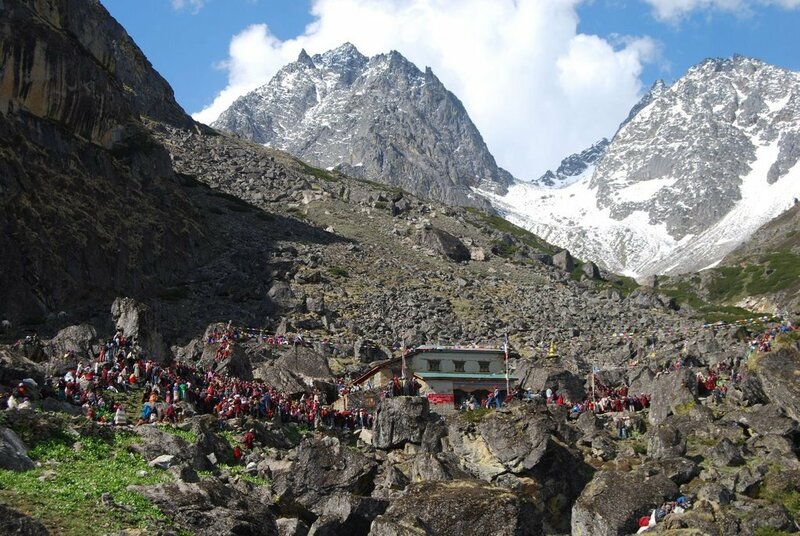 The campsite offers a view of Crystal Mountain and Raling Gompa being stuck to the barren rock. We walk up to the Gompa and circumambulate it before entering the sacred monastery of the Nyingmapa Sect of Tibetan Buddhism. We will also visit Milarepa Cave before heading back to the campsite. Overnight at the campsite. Today we gently go down retracing the same trail to the iron bridge over Ghatte Khola. We pass a junction and take the left trail that leads us to Bargaun. We continue to walk above the river bank through juniper bushes and terraced fields. 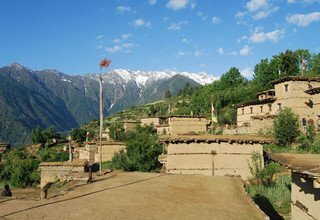 We pass through Nimatang Gompa and trek above the fields to finally reach the charming village of Bargaun surrounded by fields. Overnight at tented camp. Today we head towards Karpunath descending through terraced fields that lead us to Thehe which is one of the biggest villages in Humla. From Thehe, we continue to go straight down to Gyackru Khola. We then follow it downstream to the village of Karpunath, located at the junction of Gyackru Khola and the Humla Karnali River. 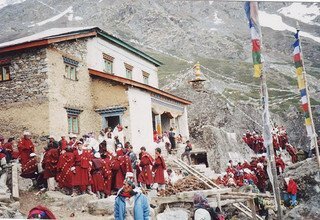 We can visit a temple nearby the village and also enjoy the beautiful view of Crystal Peak towering above Raling Gompa. Overnight at tented camp. Leaving behind Karpunath, we head back to Simikot. Most part of trekking today requires going up. We gradually ascend to the small village of Syamne following the Karnali River upstream. We then make a steep climb to Simikot with a zigzag trail on a steep slope. Overnight at lodge. We fly back to Nepalgunj enjoying the beautiful view of mountains and hills throughout the flight. After landing, we catch another flight back to Kathmandu from Nepalgunj. We transfer you back to the hotel in Kathmandu for the overnight stay. Day 11: Visiting Bhaktapur, afternoon for shopping, and stay overnight in Hotel. Today we visit Bhaktapur Durbar Square, which used to be one of the royal palaces. Bhaktapur Durbar Square consists of major attractions like 55 window palace, Nyatapola Temple, the statue of Bhupatindra Malla, Bhairavnath Temple, Golden Gate, the museums, and so on. Make sure you try the famous Juju Dhau (yogurt) of Bhaktapur. In the afternoon, you can stroll around the streets of Kathmandu to buy souvenirs to take back home to friends and family. Overnight at the hotel. 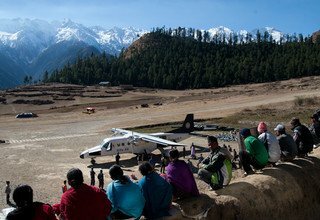 For your final departure, our team member drops you off at Tribhuvan International Airport approximately 3 hours before scheduled flight. * 5 nights accommodation with breakfast at 3*** hotel in Kathmandu and Nepalgunj. * Domestic flight ticket KTM/Nepalgunj/Simikot/Nepalgunj/KTM and domestic airport tax. 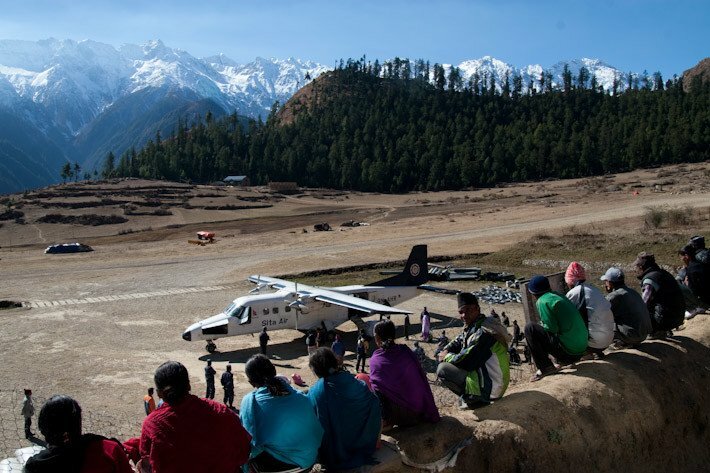 * Humla-Simikot Restricted Area permit. * Any costs which arise due to a change of the itinerary, because of landslides, domestic flight delays , political disturbance, and strikes etc.